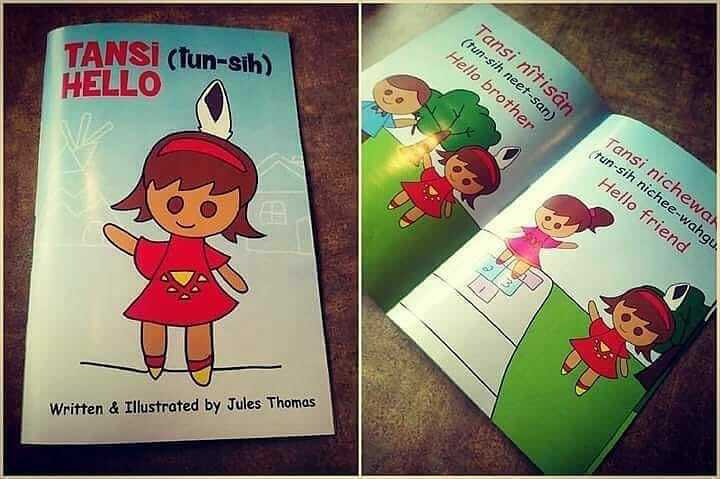 Hello Tansi, a Cree children’s book by Jules Thomas, was inspired by the author’s own children. “When I had my first son, he’s eight—Zander—I was trying to find something to teach him the language…something that was fun, colorful. Something that he could read and (we could) read together. “The language has always held the key to our past. It’s an old language. It’s before colonization… Our stories are in our language. Each word has a story and each word has a meaning of who we are," he told Jeremy Harpe of CFWE-FM. Hello Tansi is one of three books Thomas will be releasing. The others will be Counting in Cree (one to 10) and Animals in Cree (10 different animals).